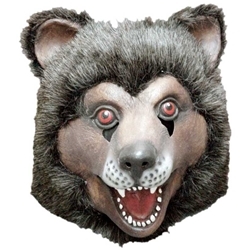 Bear Mask - Latex. With Hair. One size.